African print has some serious steez! Living in Alaska makes it harder for me to wear this cultural piece that means so much to me. With the weather finally feeling a lot like summer, I wanted to share this super chic African print palazzo pants and ankara top with you. One of the beauties I admire about African print is that no two pieces are exactly the same. From the way they are sewn to they way they are styled makes every ankara outfit a masterpiece. This chic African print palazzo pants set I have on was handmade by Nanayah Studio. 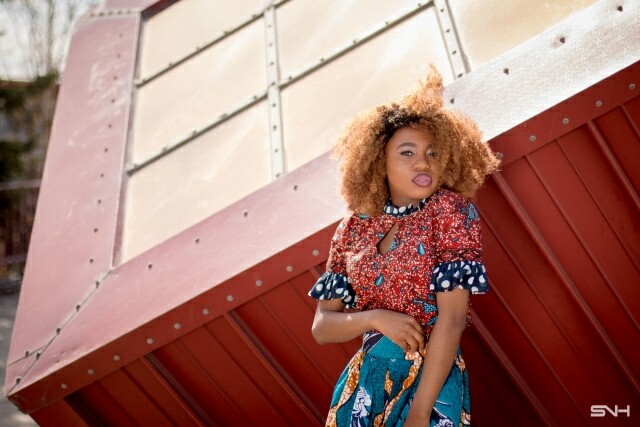 The unique combination of classic polka dot chiffon ruffles on the sleeves and pleated neckline paired with the abstract design of the ankara fabric creates the perfect marriage between ethnic and western influences. The cut out teardrop pattern of this top steps it up even further. 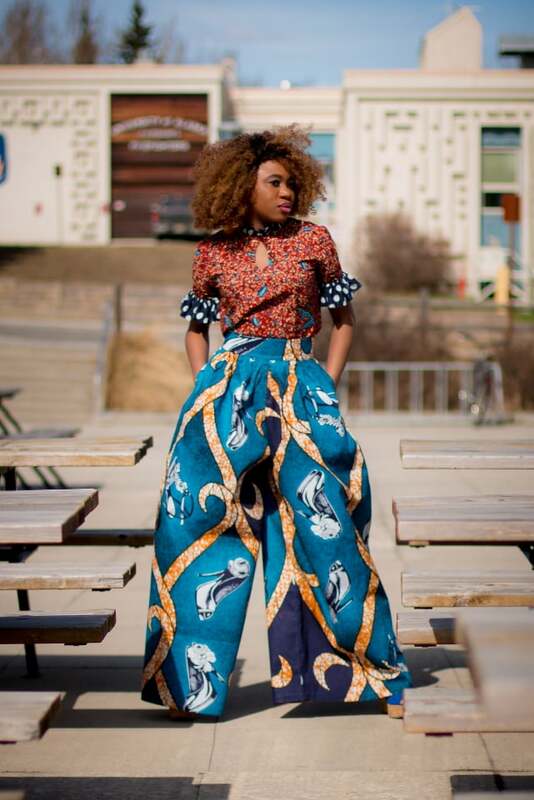 Playing off the colors of the ankara top, Nanayah created this epic wide leg pants to pair with the blouse. 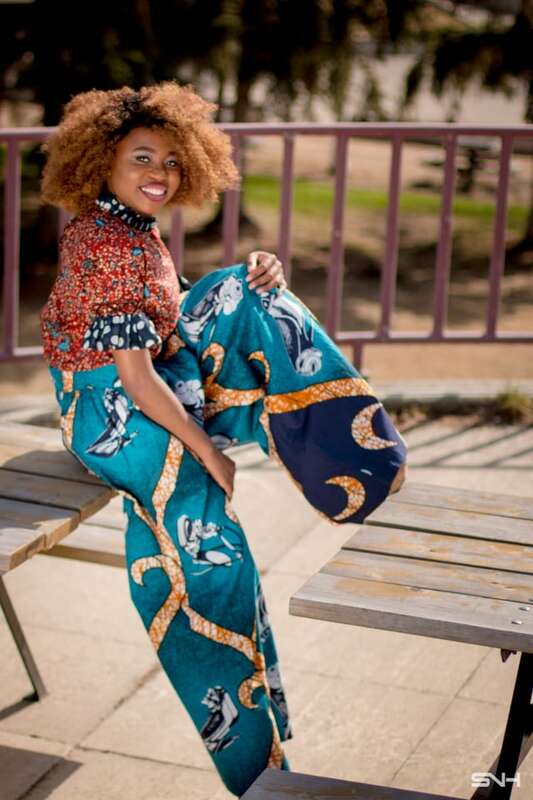 If you’re looking for the perfect statement wide leg summer pants, this African print palazzo pants is all you need. The thick waistband defines and accentuates your waist, creating the illusion of a taller body frame. I paired this ankara set with a comfortable pair of cork platform wedges. Standing tall at almost 5’9, I’m ready to conquer the world 😉 You can also mix and match with your favorite denim jeans and heels, like I did or with flats for a laid back appeal. Anyone can totally rock this ethnic piece. 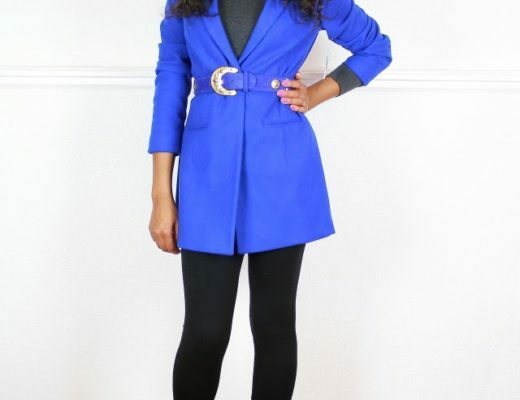 It’s all about finding a pattern that speaks to you and you feel comfortable wearing. 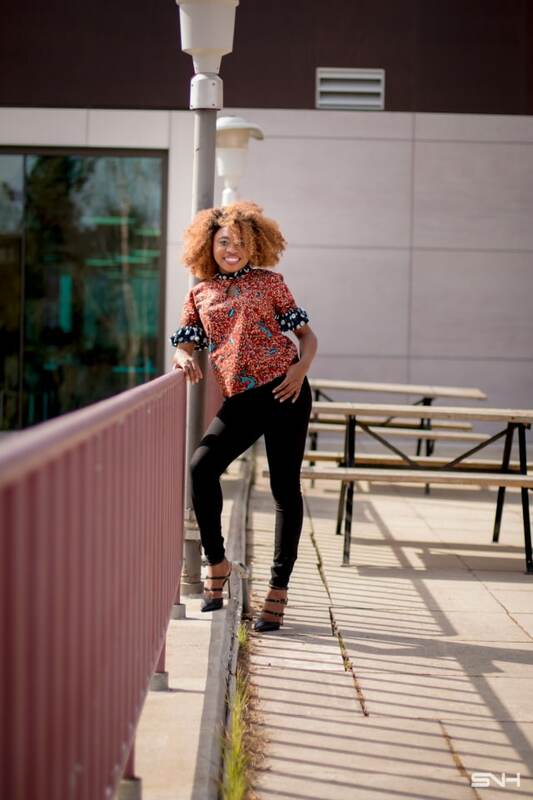 If you’re curious on how to care for this delicate fabric, I’ve got you covered with this post on how to care for your African print clothes. Until next time, thanks for stopping by! I wouldn’t be able to look as good as you do in that outfit. You’re so kind. Thanks Charlotte! Firstly. I’m going to have to talk to you offline on how you ended in AK LOL; secondly, LOVE, LOVE, LOVE this outfit. I don’t have anything African yet and I can’t wait to purchase something. They are the most beautiful sets of clothing that exist! Great post! Hahaha yes please! 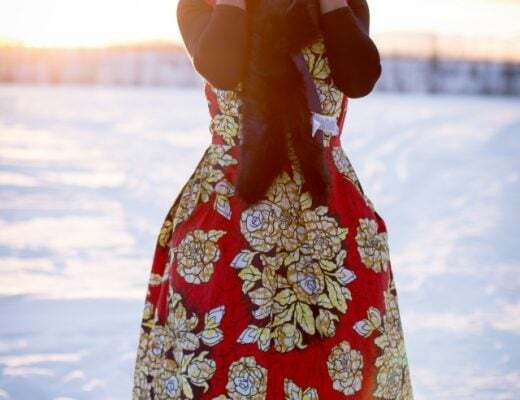 Would love to chat about my adventures in Alaska and how I ended up here in the first place 🙂 African print clothes are just amazing. I would wear them all year long if I had enough of them. And girl, you need one in your closet.